Don was a close friend of my husband and our whole family. 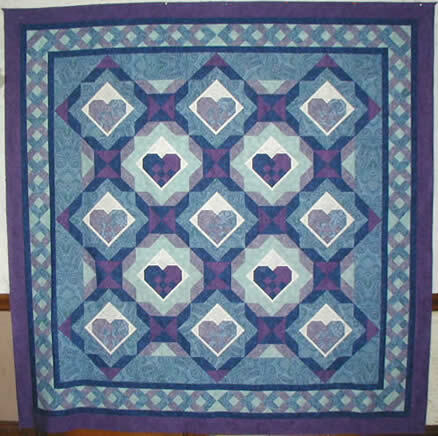 I made this quilt for him as we were hoping he would receive the new heart transplant he needed. Don loved the quilt and told me he couldn't believe anyone would make something like this for him. Don died on November 22, 2006. This quilt was on his casket at the funeral home and I was touched and honored that this quilt meant so much to him.